From its amazing archaeological treasures to its gastronomic delights and from its rich history to its melting pot of cultures, Peru offers visitors a wide array of attractions—and on this tour, you’ll experience its highlights. Lima is a cosmopolitan city steeped in history with pre-Columbian ruins, Spanish colonial buildings, and remnants of colonial mansions with lavish, Moorish-style balconies. On your sightseeing tour, you’ll see many of its famous sights, including the San Francisco Monastery. High in the Andes Mountains, Cusco is the oldest continuously inhabited city in South America and is sure to please history buffs. Learn about the Incas’ struggles with the invading Spaniards on your tour of Cusco and visit the Temple of Sacsayhuaman, built in the early 12th century with some stones weighing more than 350 tons. Try to figure out how it was built so precisely without the help of modern machinery and technology! Of course, no vacation to Peru is complete without visiting Machu Picchu. Built around 1450 at the height of the Inca Empire, Machu Picchu is located in a gorgeous mountain setting above the Urubamba Valley. Stand in awe as you witness it. It is one of the most majestic images in South America, if not the world! Not only will you visit the must-see sights, you’ll also have an opportunity to learn about Peruvian life. Experience a Mother Earth ceremony performed by a local shaman. These ceremonies thanking Mother Earth and asking for good health and safe travels have been practiced in Peru since before the arrival of the Incas. You’ll also stop at a local Peruvian food market and visit a home to meet some of the locals and experience their way of life. Peru tours from Globus offer travellers the best of both worlds: popular attractions and local cultures. Book your trip to Peru now! 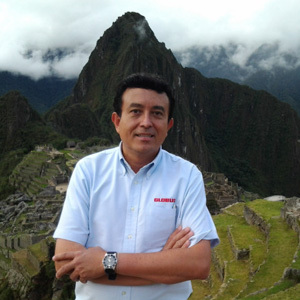 Arrive in Lima, where you will be met by your Tour Director. 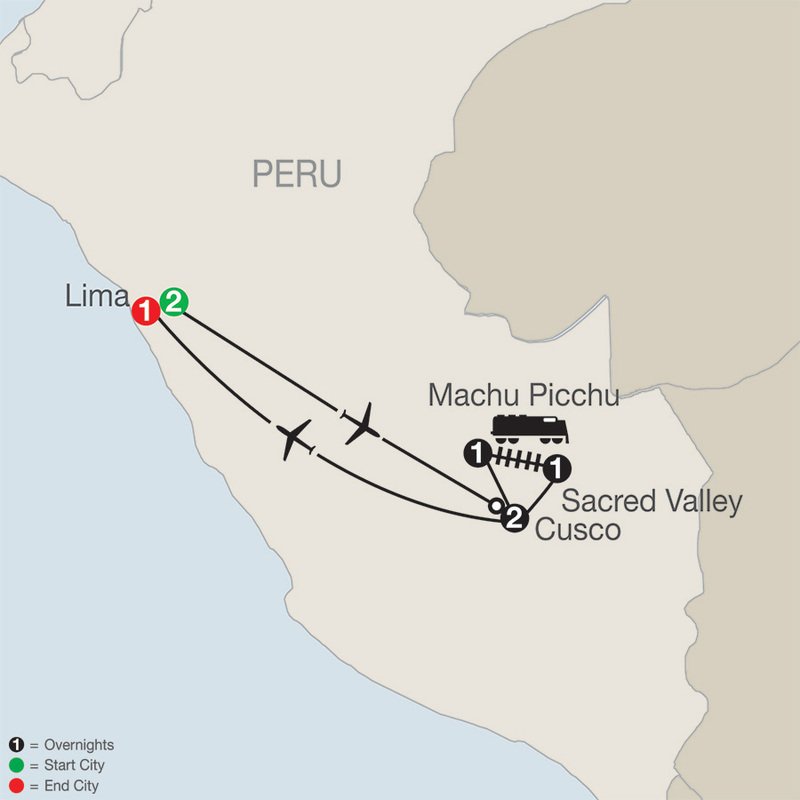 Board a flight to Lima, where the remainder of your afternoon is at leisure to explore the city.